No, it’s not price shopping for health care … surprised? Hey, what happened to consumerism in health care? As deductibles have climbed, the typical excuse was that having patients with more skin in the game would drive them to more price shopping for health care. A few of us made a quick observation; nonsense. This raises another question as well. How does the patient evaluate quality? They can’t and probably don’t even know what it is. Word of mouth has long been the route to a doctor. Interestingly, professional referral is missing from the list. Sorry. 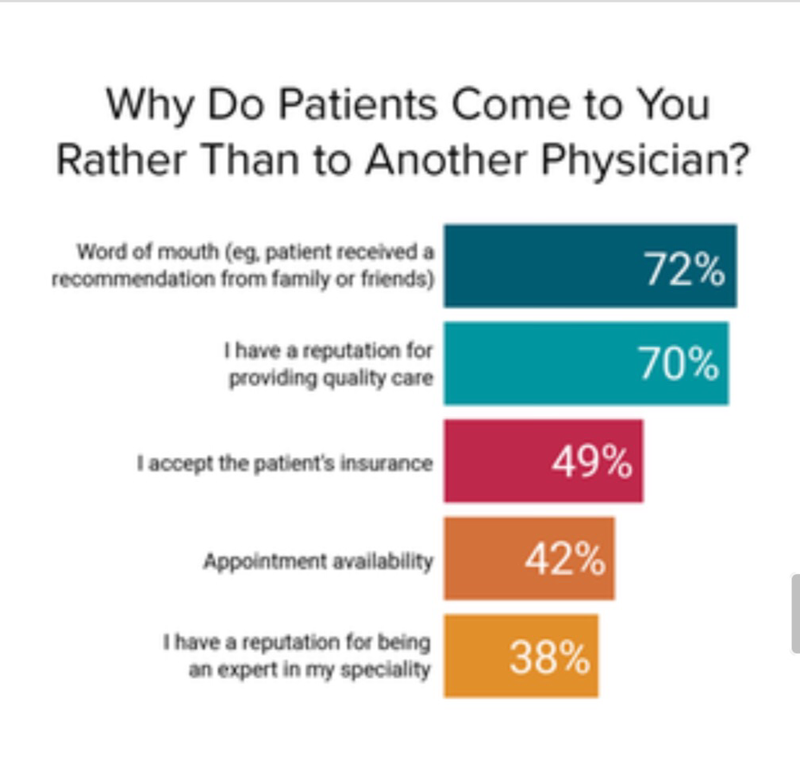 You quote a survey of physicians asking them why they think patients chose them over another physician? I would rather hear from patients 50 years ago when they only had hospitalization and something called major medical.